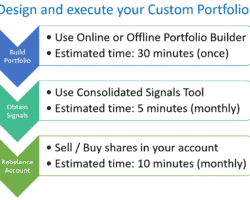 We have now included the “World Top 4 Strategy” into both the online an offline tool. To keep the charts readable, we opted for replacing the Aggressive Version of our “Global Sector Rotation”. 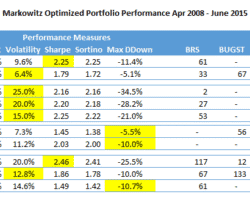 The preconfigured and optimized Markowitz Portfolios have been updated, only slight changes in the allocations occurred – all are <5%, so in most cases these can be neglected due to account size. 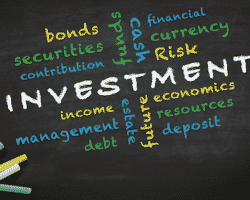 It has been now 18 months since our post on “The power of diversification: Portfolios of Logical Invest Strategies”. Back then our main argument for diversification using a robust portfolio of several of our strategies was that “diversification is ‘a rare free lunch’, it is well accepted part of modern financial portfolios, and to stay financially healthy it is important not to skip lunch”. Several new strategies have been published since then, among them the “NASDAQ 100” strategy, the “Gold-Currency” strategy and our “Hell on Fire”, the 3x leveraged Universal Investment strategy. At the same time, we went through the bumpy start into 2016 and most recently the waves created by the BREXIT referendum. Does our stated hypothesis of formerly presented portfolios still hold true? How have the individual components performed, and most importantly, have they added value through low correlation? Have new optimum portfolios emerged since then?